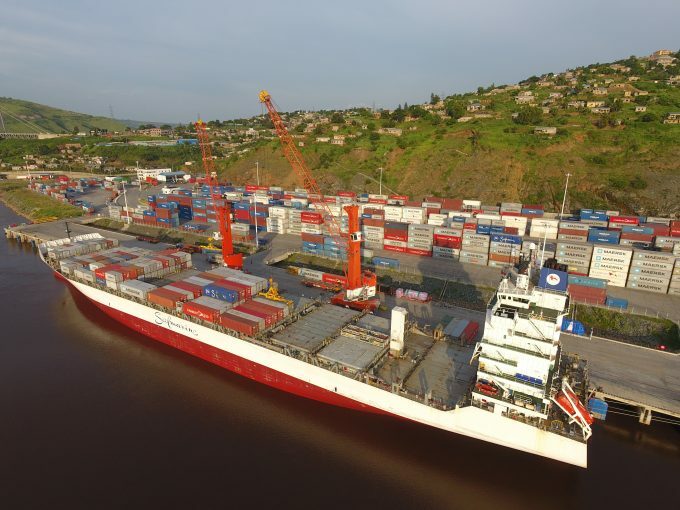 The Democratic Republic of the Congo (DRC) last month saw its first gearless containership call when the Safmarine Nuba arrived at Matadi Gateway Terminal (MGT). Executives at ICTSI-controlled MGT said the arrival of the vessel had marked a turning point in DRC supply chains. “Progressively, MGT is fulfilling its potential and unlocking scale economies and service efficiencies for cargo owners,” said Hans Ole Madsen, ICTSI’s senior vice president of Europe, Middle East and Africa. 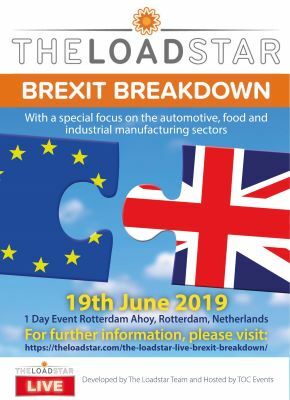 “The terminal is having a positive impact right along the supply chain, a scenario we expect to grow as demand builds, even larger vessels are phased in and the terminal reaps the benefits of comprehensive continuous improvement programs. “The Safamarine Nuba represents a ground-breaking ‘first’, but we are very confident that MGT can deliver further efficiencies, and consolidate and expand its role as the premier container gateway for the DRC,” he added. The call represented the launch of dedicated feeder service by Maersk Line between nearby Pointe Noire and Matadi, with a second call due soon. “MGT is situated some 200km inland on the Congo river and is built to handle vessels of up to wafmax [west Africa-max] dimensions and, as such, the Safmarine Nuba was straightforward to berth and work,” explained Tim Van Campen, director general of MGT. However, the call will also serve to ignite growing competition among ports to serve the DRC capital of Kinshasa, Africa’s third largest city after Cairo and Lagos, with a surging population that has passed the 12 million mark, turning it into a genuine megapolis. While ICTSI had ploughed around $100m into MGT prior to its 2016 opening, this time last year DP World announced plans to build a deepwater terminal at the port of Banana, on the DRC’s short 37km coast, after saecuring a 30-year concession that will see it invest some $350m in the first two years, with overall investment rising to nearly $1bn over the lifetime of the project. However, Banana’s location is its greatest weakness, as it is almost double Matadi’s distance from Kinshasa, and hinterland transport prices from the country’s ports to its capital represent the single largest cost in its container supply chains. “Traffic overland is about US$2,500 for a truck from Matadi to Kinshasa, which is 350km. Therefore, the additional 220km from Banana to Matadi and onwards to Kinshasa would probably be more expensive than the seafreight from Shanghai to Matadi. “From Banana, you still have to go through Matadi to get to Kinshasa. But there is still no rail beyond Matadi and the road to Banana is dirt, and a challenge,” a source said. Another alternative is the container terminal operated by Bolloré at Pointe Noire, the deepsea port in neighbouring Republic of the Congo, which is rail-connected to the capital, Brazzaville, which faces Kinshasa across the Congo. Operation of the rail corridor has been beset with issues, however, and has been acknowledged to be slower, expensive and complicated with a barge element required to complete the journey from Brazzaville to Kinshasa. Nevertheless, Pointe-Noire has by far the largest capacity of the three ports – 1.2m teu compared to 350,000 teu at Matadi and the planned 350,000 teu at Banana – and currently handles around 600,000 teu a year, which is a mixture of gateway and transhipment traffic.